DataCal keyboards – not your ordinary standard keyboard. At DataCal we specialize in computer productivity solutions - and so do our keyboards. All our products are designed to make your computer tasks easier, more efficient and more productive. From language keyboards , to retail/POS keyboards, to backlit keyboards, to fully washable keyboards – our goal is to make your job easier. Businesses especially appreciate the cost saving that comes with increased efficiency. 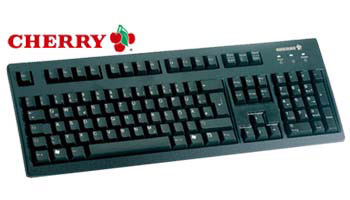 As an authorized distributor for Cherry keyboards as well as KeyTronic, TG-3 and Mann and Machine, we have both the quality products and the experienced, professional service to insure the right keyboard solution for you. We also have special volume pricing and can customize any keyboard for your specific needs.